TiVo has announced via Twitter that their new iPad application will be arriving in the Apple iTunes App Store by the end of the month. The new TiVo iPad App has been designed to allow you to take full control of your viewing schedule by searching and launch every service TiVo offers. 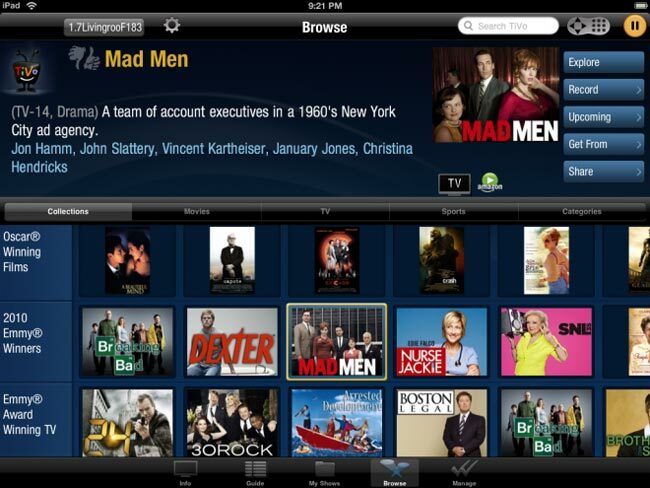 See the new TiVo iPad application in action after the jump. You will also be able to post comments about a specific shows or movies directly on to your Twitter or Facebook page from within the new TiVo app. Together with the ability to search across broadcast TV and TiVo’s premium broadband providers who include Netflix and Amazon Video On Demand. The iPad app will require a connection to the same network as a TiVo set-top.